You’re just in time to watch NBC‘s official Timeless TV show trailer. A time-travel series from Eric Kripke and Shawn Ryan, Timeless premieres Mondays at 10:00pm ET/PT this fall, after The Voice, on NBC. 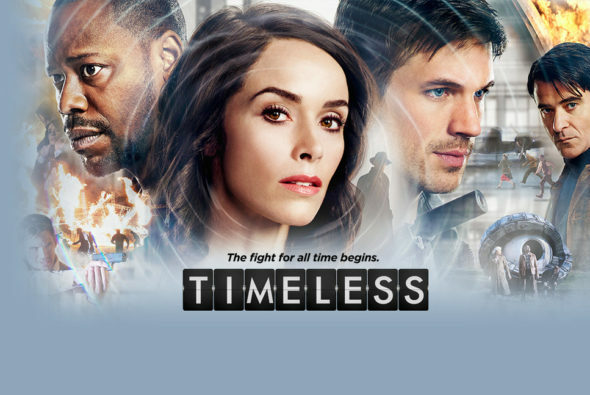 The Timeless TV series cast includes: Abigail Spencer, Matt Lanter, Malcolm Barrett, Goran Visnjic, Paterson Joseph, Sakina Jaffrey, and Claudia Doumit. Watch the official Timeless TV show trailer from NBC. What do you think? How did you enjoy the Timeless trailer? Do you plan to check out the first season when it premieres this fall on NBC? This is the only new series on NBC I’m really looking forward to. Great casting and the creative duo of Eric Kripke and Shawn Ryan makes Timeless an awesome time traveling series. Time travel is VERY hard to present well. This one sounds like a rip off from “Future Heroes” (which is/was a disaster). I’ll definitely check it out, but don’t really expect great things.